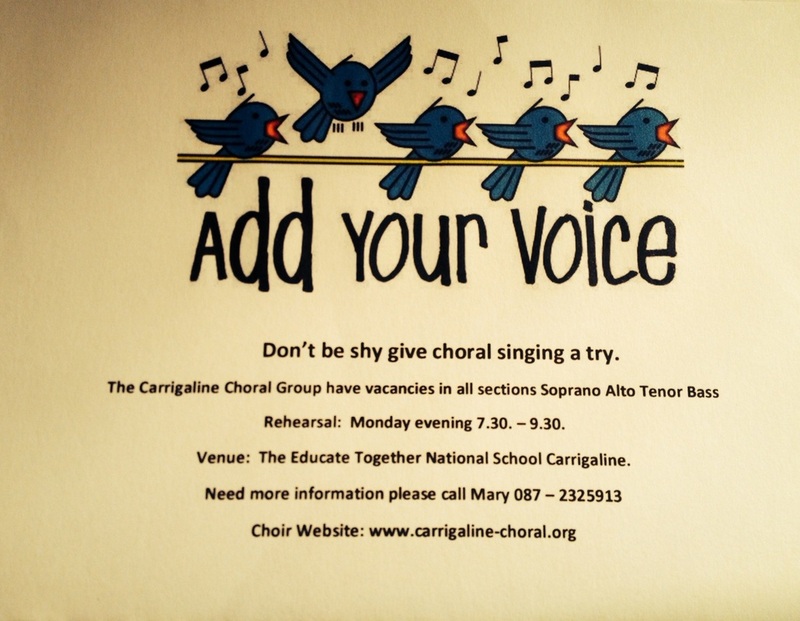 We are a mixed-voice choir based in South Cork, Ireland. We rehearse at the new, state of the art 'Educate Together' School, 'The Bypass', Carrigaline, Co Cork, Ireland every Wednesday night from 7.30pm to 9.30pm. If you like singing and like the thought of performing with a group of people, why not come along and give it a try?